The Little Grange is currently undergoing renovations which are due to be completed in October 2016. The photographs provided on this page are for illustration purposes only. We will publish photographs of the chalet once the renovations are complete. 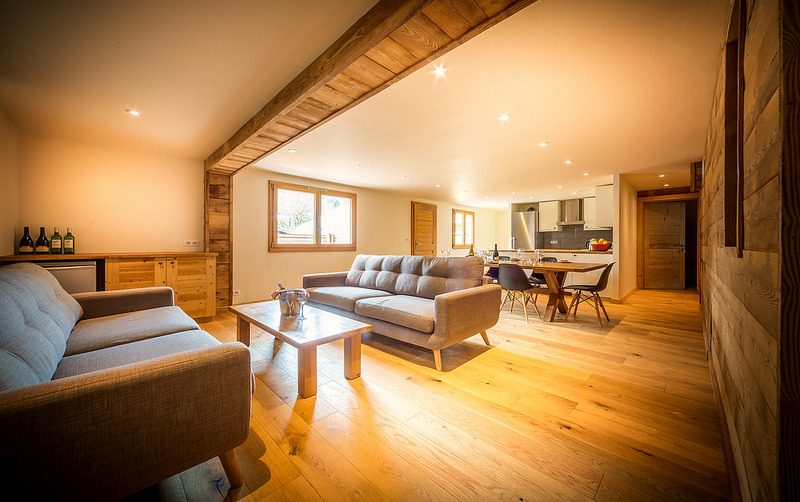 The Little Grange shared the same wonderful central location with it’s big brother, Chalet La Grange. 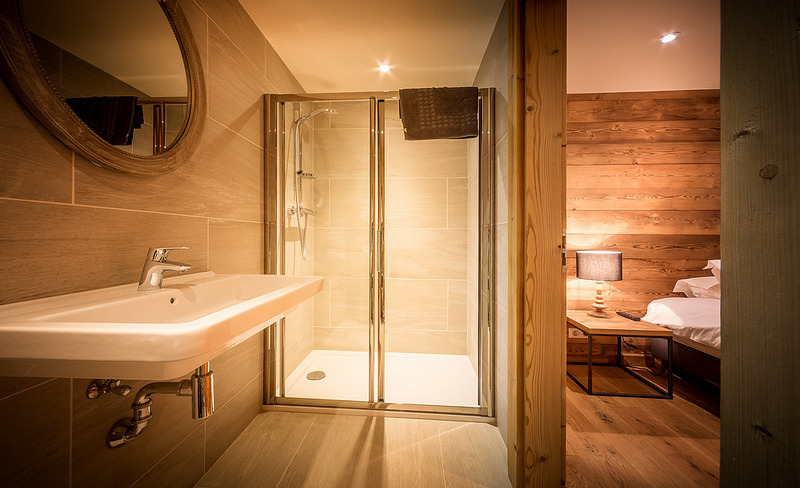 The chalets are located right in the centre of the village, meaning both the Pleney and Super Morzine gondolas are both within a few minutes walk. 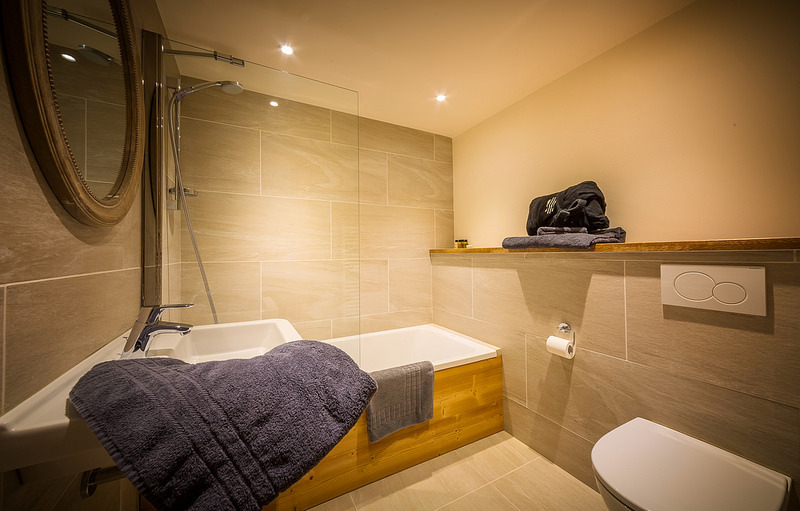 The Little Grange sleeps 6-8 guests in 3 en suite bedrooms. Two of which can take an extra bed. The living room has a large HD TV with English Sky TV but the real luxury is provided by the private outdoor hot tub. The Little Grange can be booked in conjunction with the Grange for large groups of up to 21 guests. Hunting down the best produce, experimenting with new ingredients and refining favourite dishes is quite simply a combined passion. 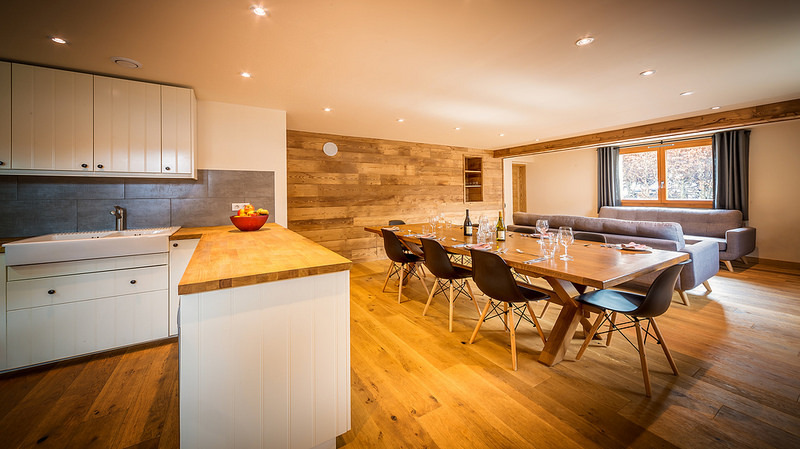 The ski chalets work on a fully catered basis meaning that breakfast, afternoon tea and dinner (including wine) are provided six nights a week. Your hosts love mixing classic dishes with something you might not have seen before. Working with the best local producers to obtain quality ingredients is a top priority. 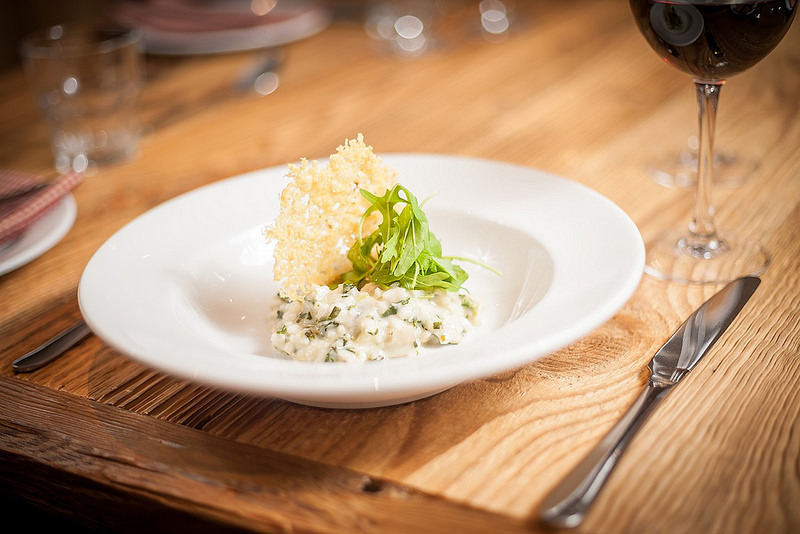 Your hosts will work their socks off to make sure that you are treated to the best ski chalet food you have ever experienced! All of the catered ski chalets have a set 4-course evening meal. However please note that dietary requirements or allergies can mostly be catered for. The ski chalets also have a childrens’ menu that can be served before or during the main evening meal. It is possible to mix and match the adults’ and childrens’ menus to your requirements. Each morning offered is a choice of bacon, eggs (poached, fried or scrambled), and grilled tomatoes. A different breakfast special is also available every day. A cooked breakfast might not be for everyone so there are plenty of continental alternatives – baguettes, croissants, pain au chocolats, fresh fruit, muesli and yoghurts. There is also a good selection of teas in each chalet. A choice of cakes, baguettes, teas, coffees and juices are laid out for guests on their return to the ski chalet from the slopes. Offered to guests is a 4-course feast (wine included) followed by a local cheese board with tea and coffee six nights a week. Please note that your chef has one day off a week (normally a Wednesday). *Please note that if guests arrive into resort after 8pm it will not be possible to provide a full evening meal. In event of a late arrival at the ski chalet guests will be provided with a more simple alternative. 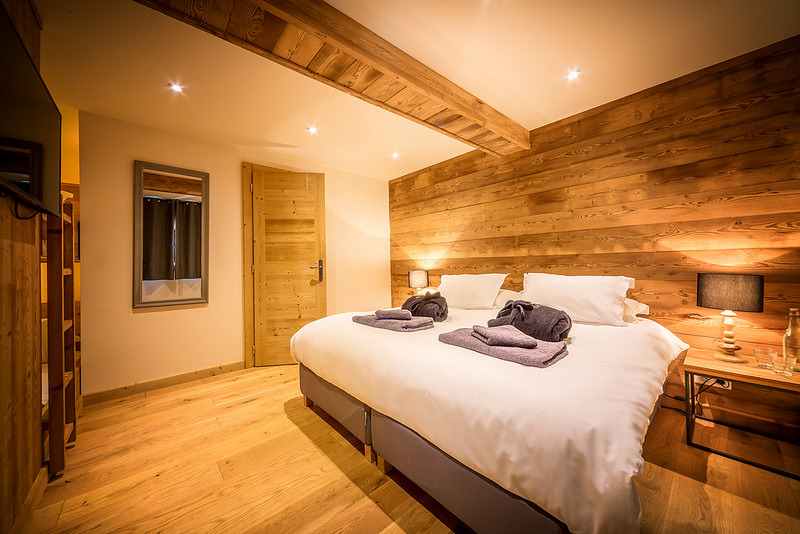 We accept individual bookings on a room-by-room basis or exclusive occupancy bookings of the whole chalets. Staff are on-site during your stay but live out. 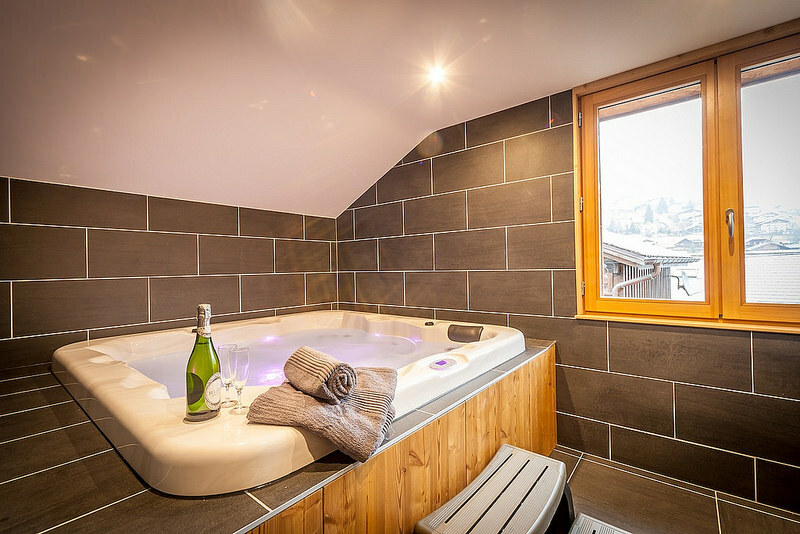 A really wonderful property in central Morzine, smaller chalets with a good location and hot tub too are very rare indeed. This one is arguably the best.